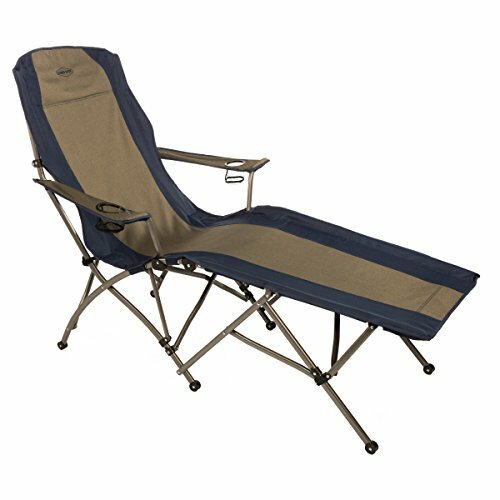 Chase your cares away when you're leaning back in the Kamp-Rite Soft Arm Folding Chaise Lounge Chair. This chair opens and closes in seconds and fits conveniently in a carry bag with shoulder strap for easy transport. It features a powder-coated steel frame and a durable 600 denier polyester seat. There's a handy cup holder in each armrest. This chase supports up to 300 lbs. Established in 1998 in Lovelock, Nevada, Kamp-Rite was founded from an idea to make what is known as the Original Tent Cot. After having so much success in the domestic U.S. Kamp-Rite's products are manufactured with superior materials and go through the best quality testing, leaving them second to none in the industry. 64L x 36W x 46H in. View More In Chaise Lounges.